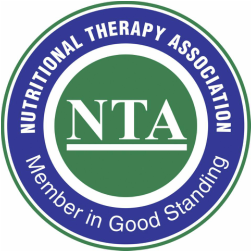 I am a certified Nutritional Therapy Practitioner (NTP) through the Nutritional Therapy Association and a trained Western herbalist through The School of Traditional Western Herbalism and The School of Forest Medicine. This all started when I was living in Peru in search of personal healing. Through my journey, I witnessed the deep relationship that the indigenous communities have with their food as well as their robust health and energy. Inspired, I returned home to the pacific northwest to study medicinal plants. Throughout my herbal education, teachers reiterated the importance of diet and lifestyle as a foundation for herbal medicine. So I went deeper... in search of a foundation. I found that foundation of health through a properly prepared, nutrient dense, whole foods diet. Everyone is different and I honor each person's unique bio-individuality. I also honor your value-set around diet, whether you choose vegetarian, paleo, or something else. I work with you to establish your own personal foundation of health through identifying health goals and creating a long-term wellness plan. We work to identify food sensitivities and allergies and remove barriers to your optimal health while replacing those things with a deeper body-mind awareness and many new and exciting practical skills. "Coevolution is a complex and multi-variable process through which all life is linked." -Sandor Katz of The Art of Fermentation. We coevolve with the plants that we eat and they coevolve with us. And it's happening right now. Yeast and bacteria are communities that influence who we are are what we choose. The coevolution of yeast and bacteria in our ecosystem, and in our bodies, brings us together to create community. There is a long lineage of people gathering to ferment food and drink and then enjoy it together. This is life in action.